On this curriculum-combined tour, students will get to explore the bustling metropolis that is New York City before they separate on daily excursions tailored to their curriculum. Geography students will enjoy guided walking tours across Hells Kitchen, Willets Point and The Projects, learning the history of the areas and gaining insight into the planning and infrastructure involved in building NYC. 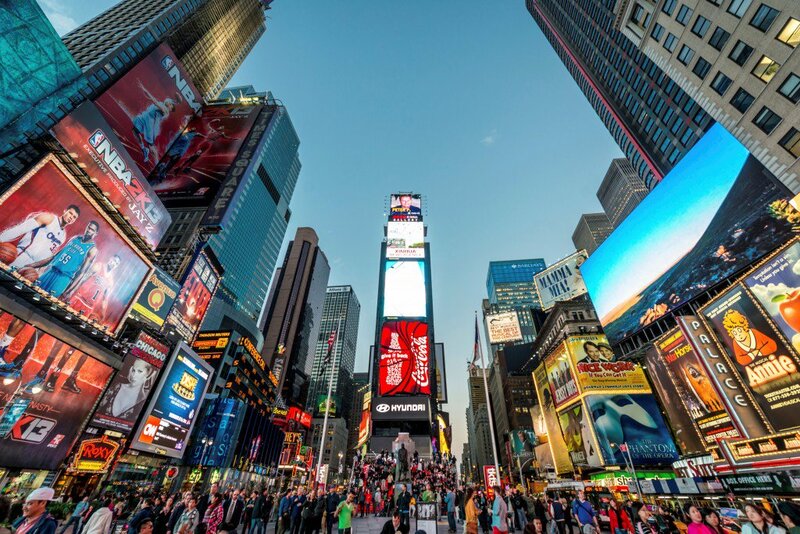 Arts students can enjoy Broadway shows, marvel at iconic artworks at The Met and MOMA, attend acting workshops at the NYC Conservatory for Dramatic Arts, and enjoy tours of the NYC Film Academy. Did you know? We can tailor our tours to to combine multiple curricula. Say you’re deciding between a history-focused tour or a geography-focused tour, why not do both? On curriculum-combined tours we can organise activities specifically tailored to your curriculum choices, as well as include activities that students can enjoy together. Ask our tour specialists today about how we can combine multiple learning areas including language, history, art, science, geography, performance (and more!) into one combination tour. Ellis Island Jump on the ferry and journey to Ellis Island - once the gateway to the ‘American Dream’. Between 1892 and 1954 over 12 million immigrants passed through the doors of Ellis Island, all seeking freedom, opportunity and a fresh start. Liberty Island Next stop on the ferry tour is Liberty Island, home of the Statue of Liberty. A symbol of freedom and democracy, the Statue of Liberty was a gift of friendship from the people of France to the people of the United States. Arts Students Visit the Metropolitan Museum of Art (MET), the largest art museum in the country. Its permanent collection contains over two million works, divided among seventeen curatorial departments. Geography Students After breakfast, meet your guide for a Jack Eichenbaum tour of Willets Point. On this tour, students will understand its important setting, confront ecological issues and learn why “Willets Point” is a misnomer. Arts Students Make your way to MoMA, (Museum of Modern Art), the most influential museum of modern art in the world where you will see works by the likes of Van Gogh, Warhol and Monet to name a few. United Nations This morning after breakfast at the hotel, everyone will enjoy a tour of the UN headquarters. Arts Students Enjoy a Matt Levy Marvellous Music history of NYC tour. The tour focuses on this city’s rich musical heritage. Students will open their ears and engage their eyes as they listen and learn about New York’s incredible musical heritage. Explore This morning after breakfast at the hotel, everyone will enjoy a Matt Levy Hell’s Kitchen Sandwich tour. Over 4 fun-filled hours, students will romp through the streets of Manhattan’s west side consuming the history of a great working class district, the sights of a foodie paradise, and of course as many sandwiches as they desire! Afternoon activities The rest of the day is free for sightseeing with your teacher; you might like to visit the natural heart and soul of New York - Central Park. A designated national historical landmark since 1962, Central Park offers NYC’s millions of citizens a beautiful landscape free from the hustle and bustle of city life. Afternoon activities The rest of the day is free for any teacher supervised sightseeing and activities. Farewell Board your flight back home to Australia, remember you will lose a day in travel on your way back! Thank you for your interest in our WorldStrides New York – Geography & Arts Tour! Please tell us a little more about yourself so we can get you sent to the right place.